Though the news of Heidi Klum and Tim Gunn leaving Project Runway after 16 seasons left us devastated, the show is making it work with two talented new stars: designer Christian Siriano and model Karlie Kloss. After winning the show 10 years ago, Siriano returns to where it all started, replacing Gunn as the role of mentor to the design contestants. 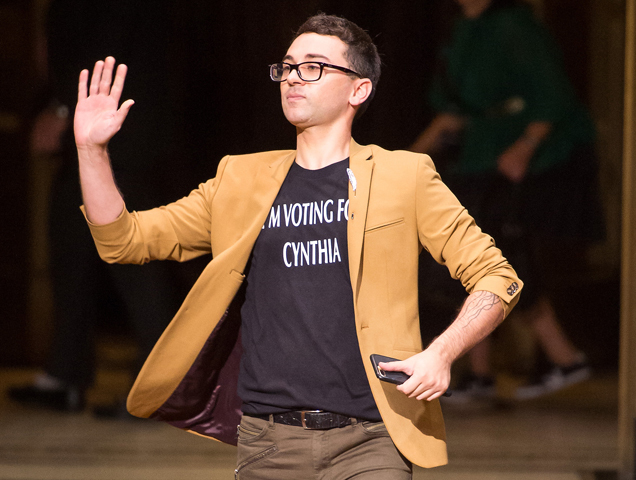 There’s no doubt that Siriano is perfect for the role since he did win Season 4 and is still the youngest winner of the competition. Since his victory, he has been a NYFW mainstay and has dressed such Hollywood elites as Michelle Obama, Kacey Musgraves, Sarah Hyland and Jennifer Lopez. Klum’s hosting role will be taken over by model Karlie Kloss. “As someone who grew up watching Project Runway, I could not be more excited to host and produce a series that provides a platform to aspiring American designers as they pursue their creative and entrepreneurial dreams,” Kloss said. Siriano and Kloss will be joined by fashion designer Brandon Maxwell, former Teen Vogue editor Elaine Welteroth and editor-in-chief of ELLE, Nina Garcia, as judges on the show. Project Runway won’t be the same without Klum and Gunn as they set off to another fashion venture together, but Season 17 is sure to be as spectacular as ever.